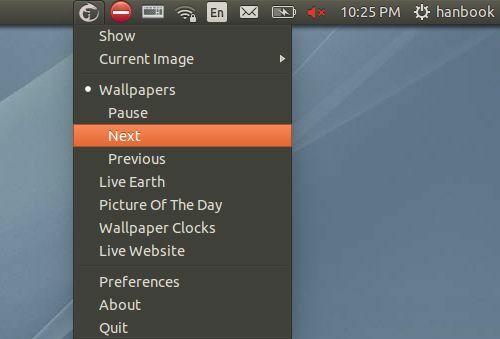 Wallch 4.12 was finally released with various bug fixes, including the crash when clicking the start button under ‘Wallpaper’. Now it is works like a charm in Ubuntu 14.04 Trusty! Picture of The Day (wikipedia). Wallpaper Clocks – combine beautiful wallpapers with the time and date. More fixes see the launchpad page. First you may check out your OS type: 32-bit = i386, 64-bit = amd64 by going to System Settings -> Details -> OS type. Then download the .deb package and click install via Ubuntu Software Center. Once installed, open it from Unity Dash result and enjoy!